If you've seen stark, weary portraits of unemployed and homeless people during the Great Depression, chances are you've seen a Dorothea Lange photograph. She captured the poverty, the hardship, the despair, and the resignation like no other artist working at the time. Her most famous photograph is probably the Migrant Mother. But who was the woman who saw right to the tired, downtrodden hearts of the people she was photographing, who exposed the truth and reality of their lives? 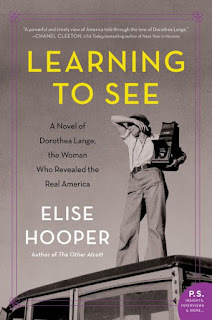 Elise Hopper's newest novel, Learning to See, is a fascinating fictionalization of this skilled photographer's life, the hardships and happinesses of her own remarkable life. Dorothea Lange had an eye. She saw and captured things in people and their circumstances that others missed. She was focused and driven, first to succeed and then to make a difference in the hardship and injustice she saw around her. Her own life had its share of hardship as well, from polio at seven that left her with a permanent limp and a disfigured foot, her father's unexplained abandonment that meant she and her younger brother accompanied their social worker mother to scenes they shouldn't have seen, to losing her entire life savings when the dear friend she was supposed to travel around the world with was pick-pocketed on their first day in San Francisco. Lange pushed through each setback, disappointment, heartbreak, and personal sacrifice to persevere, to emerge from the ashes and create the photography that documented the social failings of the mid-twentieth century, even as it took a toll on her family and her own health. But Hooper's book captures and expands on Lange personally, in addition to professionally. Lange struggled to balance her life as a celebrated portrait photographer to the wealthy with her life as a wife to Western artist Maynard Dixon and mother to their two boys. She was already the family's chief breadwinner when the Great Depression hit and she became their sole support. But her heart was not in portraiture, it was in social documentation and activism so when portrait photography was no longer financially viable, she made the shift to documenting migration and the growing economic disaster of the 30s for the government. 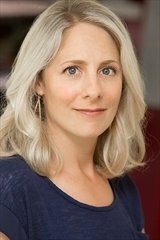 Doing so led her to make hard personal decisions that changed the very face of her family. Told in the first person, the narrative starts when Lange is a brash and forthright 22 year old, newly arrived in San Francisco from New York. As it weaves through the story of her life moving forward, there are occasional chapters interspersed that are set in the 1960s as Lange ruminates on what is clearly a tense and fragile relationship with her oldest son Dan and the plans for a MoMA retrospective of her work, including that from her time working for the FSA (and its predecessor) but still not yet including the impounded photographs she took of the Japanese internment camps. These chapters from late in her life show her to be a woman still and always learning to truly see herself and those whom she loved. They interrupted the smooth flow of the otherwise chronological narrative but did so in such a way to emphasize that although Lange's work loomed large over her entire life, she suffered and her family suffered because of some of the decisions she made in the service of her art. The story is well done and engaging and the reader is swept along with it, seeing the dichotomy of working mother and home life, the treatment of and dismissiveness shown to women, the cost of divorce, and the power and threat of social justice. Learning about Dorothea Lange, the woman and the photographer was fascinating and the novel will appeal to historical fictions readers of all sorts, especially those who enjoy reading about trailblazing women and the work of their lives. For more information about Elise Hooper and the book, check out her webpage, like her author page on Facebook, or follow her on Twitter or Instagram. Check out the book's Goodreads page, follow the rest of the blog tour, or look at the reviews for others' thoughts and opinions on the book. What a fascinating person- this sounds like a great read. Thanks for being on the tour!